RUSH CONFERENCE – A Conference. For Students. By Students. Well, it’s entirely student-led. Students speak, lead worship, facilitate small groups, the whole deal (even pick up trash). You’ve never experienced a conference more relevant to the life of a student. Step into an encounter with the truth, encounter the Gospel, and most importantly, an encounter with the living God. God delights in our worship, and at Rush we do it in lots of different and engaging ways. Our students will worship through song, dance, drama, games, or even through a video. It might get loud. From main sessions to seminars, students will hear directly from student leaders- relevant talks to the life of a teenager. We believe hearing from a peer is both powerful and moving. 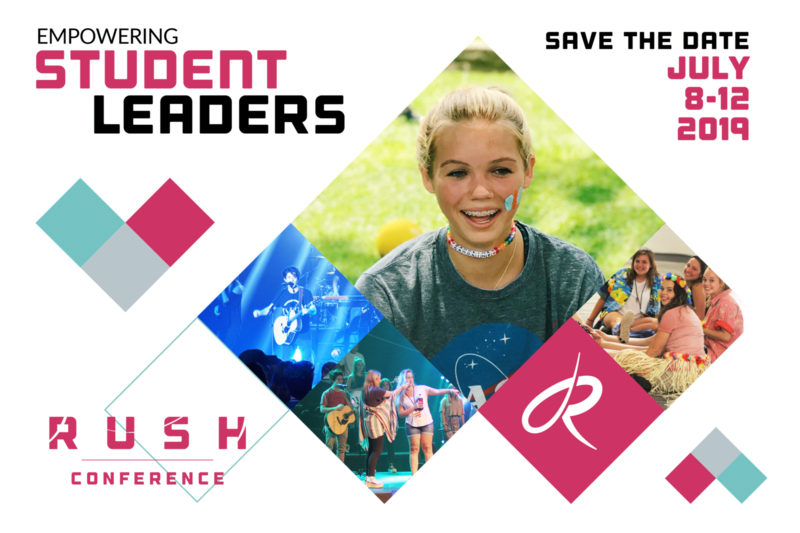 Each Rush student will join a peer-led small group where they will be able to go deeper into what they are learning– asking questions and digging into truths from sessions and seminars. Part of learning to be a mature follower of Christ is learning to be His hands and feet. Community outreach projects all over the city of Atlanta allow students to exercise their faith and to experience what it means to share the love of Christ. We believe an important element to growth is relational community. Your group will have time to build community with one another through your choice of free time activities. We can suggest several, or you can organize your own. Rush is run by students… so you never know what can happen! From a surprise food truck block party to a glow-in-the-dark dance party to a 1,000-balloon-release – each year of Rush brings something unexpected! Follow us to see photos and videos as we prepare for Rush 2019.